When you played billiards during the early days of plastic, you took your life into your hands. Under the right circumstances, your bank shot could cause a ball to explode. 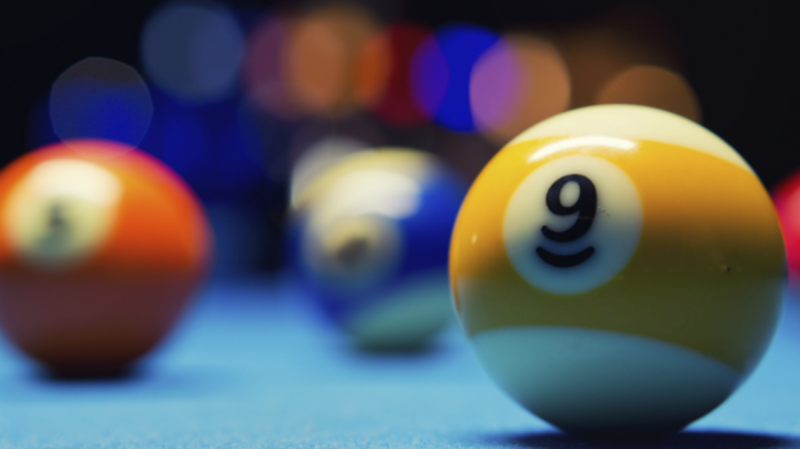 Billiards played an important role in driving the development of synthetic plastic. In the Victorian era, billiard balls were made of ivory, a material created from carved tusks. But some feared (perhaps erroneously) that ivory’s popularity was going to lead to a shortage of the material, as elephants would be hunted to near extinction. They were onto something—but it wouldn't happen for decades. Phelan and Collender, a major billiard table manufacturer, offered a $10,000 reward to any person who could make a non-ivory billiard ball. In 1869, an inventor named John Wesley Hyatt came up with a solution. He mixed nitrocellulose with alcohol and a waxy resin called camphor, and molded it into a ball that looked and felt a lot like ivory. This material, patented as Celluloid and later used for artificial dental plates, was the first mass-market synthetic plastic, launching what became known as the Age of Plastics. The clack of billiard balls rolling together can be a satisfying sound during a game well played. A small flash-bang going off in a dark, smoky billiard hall is another thing entirely. Just hope there was no hustling going on when the guns came out.